For many years, the the idea of organic gardening has been at the forefront of the locally grown, sustainable food movement in the United States. Growing organically however is nothing new. It is the oldest form of agriculture, because until the development of petroleum based fertilizers after WWII, growing naturally was the only option. Whether you are a full time farmer or simply one of the millions of home gardeners, organic methods are the best way to grow and feed your family. Probably the most important long term benefit to organic gardening is the wellbeing of your soil. The more chemical based fertilizers you use, the weaker your soil becomes and thus requires more and more synthetic additives to maintain its viability. You are much better off adding good compost, natural manures, ocean based fertilizers, etc. which not only result in better harvests, but also in stronger, healthier soil. 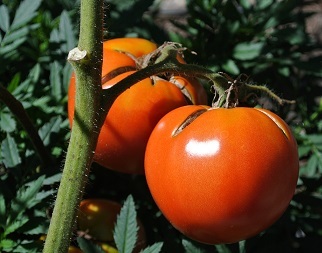 Gardens that are free of toxic chemicals obviously will result in toxic free produce. While there are numerous scientific studies showing that this results in tastier and healthier food, you don’t need to rely on science. Bite into a just picked naturally grown heirloom tomato and compare that to something bought at the supermarket that has been trucked in from a thousand miles away, and you’ll know the difference! Too many of us live and work in a fast paced world full of stress…e-mails, phone calls, pushy bosses, 24 hour news coverage of wars, disasters, economic problems, etc. Shut out the madness, at least for a little while! Get into the garden and relax. It seems to me that people who plant gardens, tend to them on a daily basis and reap the rewards at the end of the season are generally quite happy. There is even a group called the American Horticultural Therapy Association that helps treat issues like depression, mental illness, addictions, substance abuse, aging, etc. Let’s not forget about the physical benefits of organic gardening. Bending, lifting, pushing a wheelbarrow, weeding, hoeing and numerous other chores are really good for you! Finally, the process of composting is critical to any organic gardening program. It is no different than recycling bottles, plastics, newspapers and glass that should be reused rather than filling up a local landfill. Your grass clippings, leaves, kitchen and garden wastes, etc. 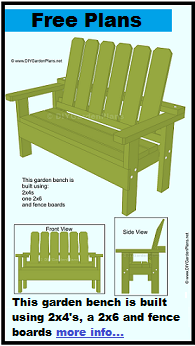 are loaded with beneficial nutrients and organisms that your garden will love. Create a compost pile that is conveniently located and as the waste breaks down, spread the resulting “black gold” on your vegetable and flower beds. Organic. It is the way of the past, the way we should be gardening, and the way to future soil sustainability. Get dirty and get growing! The Importance Of Organic GardeningMethods of gardening and growing food are many, and some are very old.